The National Kidney Foundation Serving Maryland and Delaware is number one among all NKF affiliates in support of medical research. Since 2000, National Kidney Foundation Serving Maryland and Delaware has distributed over $3,226,480 to 248 research applicants. Through our grant application process, the National Kidney Foundation awards up to $100,000 annually to eligible medical professionals. The best treatment for kidney and urinary tract diseases is the discovery of a cure. The goal of the grants program established by the National Kidney Foundation Serving Maryland and Delaware is to promote basic, clinical, translational and public health research that is aimed at preventing and treating diseases of the kidney and urinary tract. We currently offer two types of funding mechanisms: Mini-Grants and Professional Development Awards. The purpose of the Mini-Grant program is to fund innovative, unfunded pilot projects that may lead to new insights into genitourinary diseases and that will form the basis for a publication or additional external grant funding. The Professional Development Award was designed to foster the careers of young faculty who intend to pursue research in the field of kidney or urologic diseases. The objective of this award is to provide bridge funding that will allow a junior faculty member to transition to independence by successfully applying for significant external grant funding. 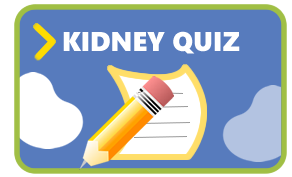 Our parent organization, the National Kidney Foundation, is the leading source of nonprofit funds for research on the kidney and urinary tract diseases that afflict 20 million Americans and cause 50,000 deaths each year. For more information about our national research programs, please click here. The 2019-2020 application opens Monday, December 3, 2018. 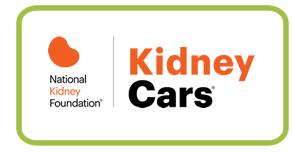 The final date National Kidney Foundation Serving Maryland and Delaware will accept applications for this round is Monday, February 4, 2019 at 5 pm. See a list of the 2015-2016 research grants that National Kidney Foundation Serving Maryland and Delaware funded here. See a list of the 2016-2017 research grants that National Kidney Foundation Serving Maryland and Delaware funded here. See a list of the 2017-2018 research grants that National Kidney Foundation Serving Maryland and Delaware funded here. “I’m more than happy to relate how important the NKF MD grant support has been to me over the years. I have received 2 grants from the NKF of MD, the first was a mini-grant that was important while I was a post-doc at Hopkins. It allowed me to create a new mouse model for studying Ca2+ regulation in the kidney. The grant got the project going. When I left as a post-doc the project was well established and my former mentor, Bill Guggino, hopes to publish the findings soon. The second grant I received from the National Kidney Foundation Serving Maryland and Delaware was the PDA award for the 2013-2014 year. I would like to spend some time discussing the role this grant has played in my development. I was lucky enough to receive this award just after transitioning to UMB as a non-tenured track research associate. My primary work was on projects headed by Paul Welling, but the PDA provided some independence and allowed for me to make good progress on my own independent project studying uric acid transport in the kidney. This independent project I envisioned as my one path to my own lab and a tenure track position. The PDA funding kept that possibility alive and gave me the chance to generate significant preliminary data. I used that data to apply for a Scientific Development Grant from the American Heart Association, this is a 4 year almost 400K grant. I won the award on my first attempt with a score in the top 2 percentile. This award made me very competitive on the job market and after a long search I accepted the tenure track position offered here at UMB in the physiology department. I’m currently setting up my own lab, am close to a funding agreement with a large multinational pharmaceutical company, a Co- Core Director on a P30 Program grant, and very happy. “I have received three mini-grants from National Kidney Foundation Serving Maryland and Delaware in the past and continue to be incredibly grateful for the support. My research is focused on adherence in adolescent kidney transplant recipients, knowing that graft survival rates for this group of patients are among the lowest of any age group, and poor adherence is likely a major contributor to these poor rates. One recognized barrier to adherence is poor patient-provider communication. With mini-grant funding from the National Kidney Foundation Serving Maryland and Delaware, I have been able to support the addition of adolescent kidney transplant patients into the NIH-funded CKD: Hypertension Adherence in Teens (CHAT) study to evaluate provider communication regarding adherence and the impact of the provider role on medication adherence in patients with transplant. Preliminary data made possible by funding from the National Kidney Foundation Serving Maryland and Delaware has allowed me to secure additional funding for 2015-2017 from the American Society of Transplantation/Astellas. Additionally, I have been afforded the opportunity to discuss our findings at several national meetings, including an oral presentation at the International Pediatric Transplant Association- Congress on Pediatrics in March 2015 and poster presentations at the American Society of Nephrology Annual Meeting in November 2014 and the upcoming American Transplant Congress in May 2015. I anticipate submission of a manuscript detailing our findings in the next several months. 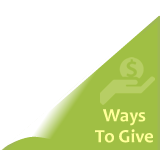 “I am one of those researchers who have availed of mini-grants from NKF of Maryland. I applied and was awarded my first one on 2013. It was entitled “Functional and Structural Characterization of Renal Gene Silencing through Sub-capsular vs. Medullary Interstitial siRNA Infusion”. It was a detailed and in-depth comparison of targeted gene silencing in the kidney. It compared the different routes; classical tail vein, direct intra-medullary and my own novel sub-capsular technique using an osmotic mini-pump method. It was designed to exclusively target a specific single kidney with minimal spillage and effect on the collateral structures like the liver, spleen, intestines etc. It also aimed to use a fractional amount of the precious and expensive siRNA than what was customarily used in the classical tail vein injection. It also aimed to avoid the very expensive and tedious process of producing knockout animal models. The results showed the advantage of the novel sub-capsular osmotic mini-pump method in terms of economy with a relatively comparable (>70%) knockout capability as well as the advantage of being potentially reversible as seen with the phenotypic reversion after the siRNA in the osmotic pump was stopped. The results were presented during the annual NKF meeting held in Baltimore, MD on May 2014 as well as during the annual HBPR 2014 Meeting held in San Francisco, CA on September 2014. For the year 2014, I was again fortunate to be awarded and funded by the NKF of Maryland for my new project entitled “Hypertension Amelioration and Renal Structural Characterization of the D5KO Mouse”. This time, the aim of this project was to replace the missing gene of interest which was the Drd5in this case, and reverse the phenotypic hypertensive effect seen in the D5KO mouse. The process involved the use of adeno-associated virus (AAV) – conjugated D5dr introduced by retrograde ureteral infusion using a fine (35G) needle to introduce the solution. This method was selected over the previous sub-capsular pump method to eliminate the dwelling time of the solution in the pump and directly for the virus based conjugate to incorporate into the target areas of the kidney. This is an ongoing project as of the moment as we are still on the viral packaging and validation phase of the AAV-conjughate production. Cellular studies are ongoing to confirm the stability and effectivity of the infusate. Hopefully we can finish soon and test this method of correcting the effects of a missing gene as well as validate the AAV based conjugate and the retrograde ureteral method. “As a recipient of the 2012-2013 National Kidney Foundation (NKF) of Maryland’s Professional Development Award, I can attest to the benefit of participation in the research activities afforded by the NKF of Maryland. My project evaluated the association of urinary enzyme abnormalities with medication errors in individuals with chronic kidney disease (CKD). Results of this analysis were varied; a statistically significant association was noted between known nephrotoxic medications and abnormal urinary enzymes, but an association with abnormal urinary enzymes was also noted between a non-nephrotoxic class of medications. As a result, the conclusions to be drawn from this analysis were mixed and somewhat difficult to interpret. Consequently, these findings have incited collaborators to further investigate these results in a broader cohort of individuals. These proceedings are ongoing.